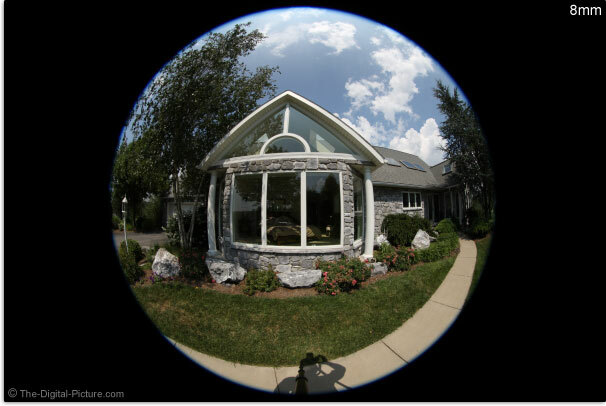 Below is an example of what the Canon EF 8-15mm f/4L USM Fisheye Lens' focal length range looks like. The first and last mouseover rows are from a full frame body while the middle row is from an APS-C body. In the first row, the comparison focal lengths in parenthesis are from the original 15mm fisheye lens and rectilinear results from the Canon EF 14mm f/2.8L II USM Lens and the Canon EF 24mm f/1.4L II USM Lens. The parenthesized focal lengths in the second row are from the Canon EF-S 10-22mm f/3.5-4.5 USM Lens. The third row presents near-MFD results with some slightly longer focusing distances of the same subject in parenthesis (my girls thought these clarified what you were looking at - which is an entire full-sized SUV hiding behind a 20" wheel). Let's look at some 100% crops taken from the same composition shown in the first row of focal length comparisons presented earlier in the review. 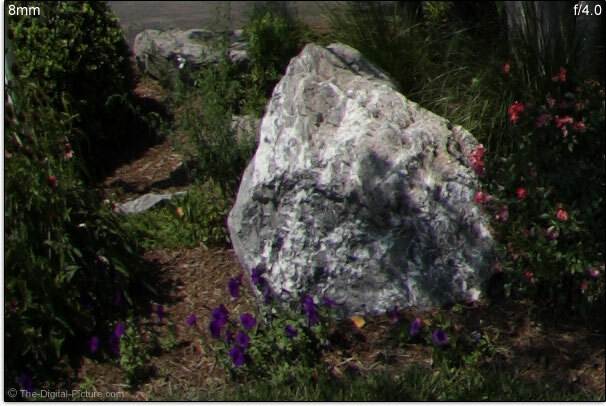 This rock is near the left edge of the image circle. These images were not shot under perfect sky conditions (not perfectly clear), but ... the correct story is told. The original 15mm fisheye crop is taken from a slightly-closer-to-center position (a slight advantage) due to the way this lens framed slightly differently. Images were captured on a Canon 1Ds Mark III in RAW format. I shoot with the "Neutral" Picture Style in-camera due to the better histogram it provides, but as I did here, usually convert to the "Standard" Picture Style in DPP. Sharpness is set to "1" (very low). Very simply: I'm impressed. 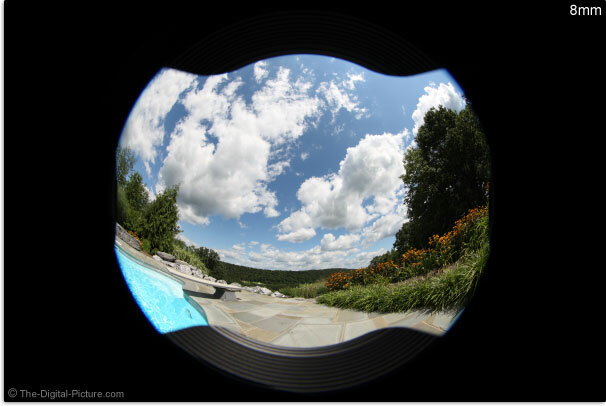 All of the Canon EF 8-15mm f/4L USM Fisheye Lens crops are very sharp. Notice how in-focus the lens hood itself is at in these f/11, infinity focus distance shots. 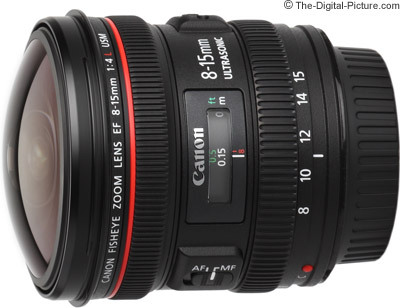 Back to the Canon EF 8-15mm f/4L USM Fisheye Lens Review.